Travelpro is the brand of choice for flight crews as well as frequent travelers worldwide. This Travelpro luggage review will help you to find the right Travelpro bag for you and your travel needs. What Does Travelpro Stand For? Travelpro was founded in 1987. The founder was an airline pilot and the company purpose was clear... to fulfill the luggage needs of travel professionals, hence the name Travelpro. Since then Travelpro has been the brand of choice for flight crews worldwide. Airline personnel can access special airline personnel section on Travelpro website. Travelpro product range has developed over the years and Travelpro now offers wide range of luggage to fulfill the needs of most travelers. From garment bags and suitcases to executive briefcases, rolling duffels, totes and backpacks, Travelpro offers outstanding durability, practical functionality, and stylish innovations. No wonder Travelpro is the brand of choice for flight crews as well as frequent travelers worldwide. Because if it's good enough for the professionals it is good enough for most of us! Travelpro offers different luggage collections to fit the needs of most travelers and budgets. The most common price range of each collection is shown in the brackets. The Platinum Magna is a collection of luxury 8 wheel spinners and Rollaboard® luggage. This range is incredible lightweight but still durable and easy to maneuver. Platinum Magna is one of Travelpro most innovative collections. The Duraframe full body construction is strong, light, and built to last. The Magnatrac wheeling system is a leap forward in spinner wheel technology. The Contour grip handle is the first handle grip specifically designed for spinner luggage. Just to mention few of the innovative feature that the Platinum Magna range offers. This is Travelpro "Rolls Royce" range and therefore comes with Worry-Free Lifetime Warranty. 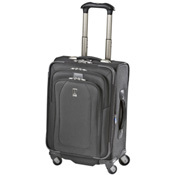 Travelpro Maxlite collection consists of ultra-light Rollaboard® and spinner luggage. Maxlite is durable enough for frequent fliers but as importantly light and economical enough for leisure travelers. The interior is spacious, offering extra packing features and effortless mobility. Travelpro Maxlite comes with Limited Lifetime Warranty. The Crew collection was designed with the specific needs of flight crews in mind. The Crew collection is innovative, offering lightweight durability and effortless mobility. From innovative PowerScope extension handle to 4-point stability system preventing tipping when the bag is extended... the Crew collection really does fly. Travelpro Crew comes with Limited Lifetime Warranty. WalkAbout Lite is a collection of matching bags that suit any budget. WalkAbout Lite offers practicality, style and value in one bag. The frame is lightweight and durable, the ergonomic telescoping handle ensures comfortable rolling, the high performance sealed ball bearing wheels are built for high mileage travel... WalkAbout Lite will go the distance. Travelpro WalkAbout Lite comes with Limited Lifetime Warranty. The Executive Pro is Travelpro briefcase collection, offering sophisticated functionality to the frequent business traveler. The keywords are light, durable, organized and checkpoint friendly... everything to make the busy travelers life easier. 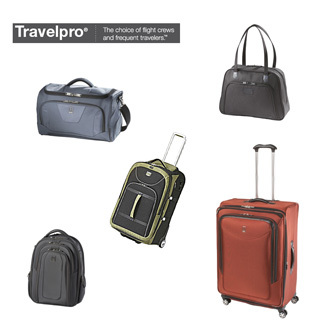 Travelpro Executive Pro comes with Limited Lifetime Warranty. The T-Pro Bold luggage collection is inspired by adventure travelers, offering durability, style and versatility. Travelling with T-Pro Bold is like having many bags in one. T-Pro Bold internal and external organization allows you to pack more and in an organized manner. T-Pro Bold stores safely everything from food to electronics, as well as your clothes and travel gear. Travelpro T-Pro Bold comes with Limited Lifetime Warranty. You might not know it but Travelpro has teamed up with National Geographic, offering luggage collection inspired by adventure travelers and aimed towards the inner explorer we all have in us. 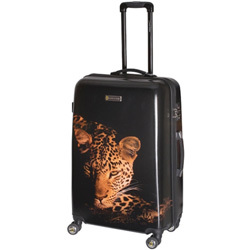 The National Geographic collection is quite different from the other Travelpro luggage collection. Actually, it is different from most luggages on the market. It is lightweight and loaded with all the features and conveniences that modern travelers require. However, the look is quite distinctive and very much in line with what the National Geographic brand stands for. Amazon offers wide range of Travelpro bags. These are some of our favorites.